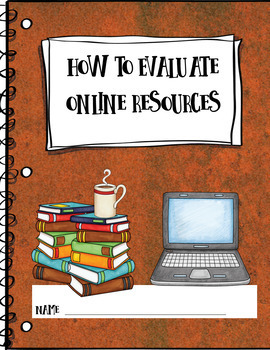 Give your students real practice evaluating online resources! 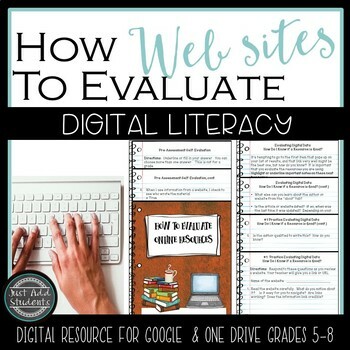 This digital notebook is perfect for practicing (multiple times) evaluating websites. Great activity to prepare students for research projects. 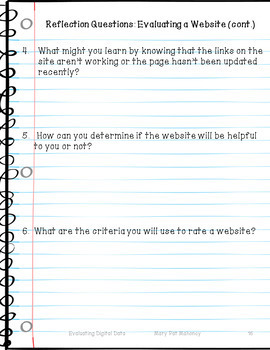 Can be used to evaluate any website. This lesson is more than just a checklist (though you'll receive one in the teacher resources!) -- it offers several different websites for students to use to evaluate and think critically about what different websites offer. You can choose how your students practice (independently in centers or with a partner) and how much they practice. They will evaluate not just what is written on the website, but how it's written and by whom. This is a digital resource that can be used with Google Drive or One Drive. 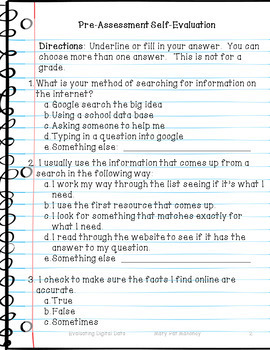 You'll receive a link to the digital notebook and website list in the teacher resource. ♥ a crucial research skill our students need! ♥ this feedback: "My students had so much fun researching the websites you suggested!" I'd love to have you follow my store. Just click on the green star by my store name, and you'll be the first to hear about sales, freebies, and new products. I read and respond to all feedback. Let me know how you use this resource -- and you'll get TPT credit at the same time! Questions? Just leave me a message in the Q&A below. I'll get right back to you!